I did that, but their nice guy suggested that I go back to my ISP. “When you’re paying everybody, nobody helps”. “Nice guys help you only if you look like Bar Refaeli”. So I called the ISP again, they said that it’s not an ISP problem. How do you know that, I asked? Well, clearly since it’s happening only in your computer, it must be a problem in your computer! But it’s not only happening to my computer, it happens from all other computers as well! I tried to explain. Aha! Said the nice guy: If it happens from all other computers as well, than it can’t be our problem either! “You’d better build a site with a refrigerator. If you build it with a computer, the internet provider is never responsible”. “Always increase the dosage of your anti anxiety pills before starting a new site”. Looks depend on how people treat you. People judge the book by the cover in life. I know your last post was ARRRRGGGHHHH…but I thought it might apply here, too. So. Frustrating, when you have great ideas and the technology that is supposed to make it easier, gets in your way. Deep Breaths. Deep Breaths. Your ‘changing the world’ other site sounds way cool and I’d love to play if you are still looking for folks. I am a bullying prevention trainer and have some classroom/active learning/building communities experience I can tap into if that is the kind of thing you are looking for. Either way…well done, you! You are making things happen. One call to ISP at a time. This is my primary reason for not venturing out on my own in a website. You had me laughing all the way. I feel your angst and admire your persistence. The first time is the hardest but when this gets rolling, the grey hairs will be worth it and the struggles part of a memory…fodder for future “remember when” stories. Ah,they won’t break me this time! We’ll see who gives up first!! I thank you for this humorous interpretation of an extremely frustrating time. Here’s my thing – I HATE that ad that GoDaddy put on for the SuperBowl. It couldn’t be more despicable. Total and ridiculous stereotyping – so extremely harmful, even though they think they’re being so funny. Come on, GoDaddy, get with the program. Hilarious! Maybe you should have a section on the site about how to solve simple tech issues… but in momspeak! I used to do tech support so I understand your pain – we worked off canned responses too. I hate when you’re having a tech problem and everyone tells you the problem isn’t on their end. Frustrating. I used them for years to host several wikis, a website, and as an internet repository for files I needed for my online courses. They were always super responsive. They were highly recommended by an online acquaintance who hosted with them, and a friend of mine had similar service experiences with them. 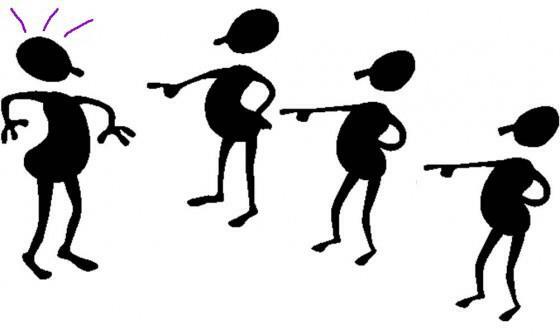 Great post about problems we all grumble about. The big companies, especially those in communications, have us by the shorts. I hated the Go Daddy commercial too. But laughed at your Rules! I am new to blogging and love the way you post! I just have blocks of words! lol I guess I will start to use pics and such. I read that visual aids help with readership, but I mainly just write toexpress how I feel about things. It couldn’t hurt to get some input though. No! Please! I am new and welcome the input. Actually I changed my theme today because I thought the black was too stark as well. I am going to start incorporating more pics to augments the reading. Let me know what you think of the new theme. I fixed the title issue as well I thought it was too hard to follow them, so I just used the So, like that motif as the site name. Also, do you like the writing itself? I hope I am not being to pushy. 🙂 Thanks! ‘Service providers’ is a misnomer, I think. How I wish Rule#3 could be implemented! i use GoDaddy. i’m curious, what kind of error have you been getting? 500 internal server error. That’s the minor issue. It takes 30 seconds to upload the site , can’t find the reason for that! I have the same issues with Go Daddy! Plus I use them for my business email and for some reason my IP address got black listed for no reason! On top of that they blamed the other email providers and they provided me with terrible service. Do you just use them for hosting of your site? Yep. But frankly I’m not sure it’s really a problem at their end, there could be so many reasons. Funny post. Hope things will improve. Thanks for “liking” my blog article.. I am new at this blogging adventure… and loved your adventures with go daddy article…experiencing the same and getting better help from my teenager. We have very similar cover photos for our facebook pages… check it out. Thanks for ‘liking’ my blog post 🙂 I very much identify with your “Building Sites Rule #4” – starting a new blog is a terrifying experience to say the least, so thanks for your support. Great blog by the way, will go explore more of it now. First of all, thanks for stopping my blog, “The House That Wisdom Built.” But, I have a basic trouble shooting question to ask you re: your new site and your challenges: “Is it just your new site that is going down, crashing, whatever? Or is it all internet pages?” For example, new site not working, email, google, wordpress, linkedin, facebook, all are working – then the problem is Go Daddy. If NOTHING works, it’s your ISP. Second question, if nothing is working and you’ve rebooted, unplugged, reset your router, checked your cables and it’s still not working – it’s your hardware or your ISP. If it’s hardware, it will eventually stop all together. I had constant challenges when we lived in no-where north Georgia. Changed the hardware, ultimately upgraded the computer, requested a new box from my cable provider (which they happily provided for an up charge and a service call charge) and still had problems. After more calls than I could count they sent out a guy who was actually honest and told us that the band width coming into our neighborhood wasn’t broad enough and the whole neighborhood needed to be upgraded at the source box a half block from my house. IF all of this fails, then it’s Go Daddy. And unfortunately, they won’t entertain the idea that it’s them until you can assure them you have exhausted all other options. 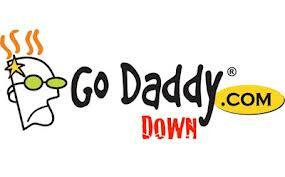 Which I have learned from others who have tried Go Daddy, is they way they work. There are a lot of free options out there or even cheaper options that seem to be more stable. Good Luck! It’s only the site, I already had several web people trying to solve it and it’s probably Go Daddy. Their service is one of the worst I’ve ever encountered, and today I am moving it to Bluehost, Actually now this is the only reason keeping me from progressing with the site. Go Daddy are better spending their money on improving their services than on Bar Refaely. Just for comparison, Go Daddy reply in 25 hours (can you believe that?? ), while I never waited for more than 10 minutes for Bluehost, usually less. Thanks for taking the time to try and help! Your work is wonderful and very inspiring to a foundling blogger as myself. Good luck with your site and thank you for taking the time to stop by mine. Thanks for the heads up and the laugh! Looks like you are a “been there, suffered that…” kind of person. 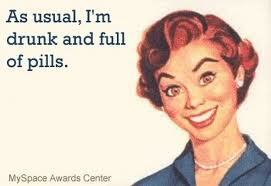 Can identify with yr experience. Just seeing this now…I Completely agree with the Go Daddy experience. I purchased Website Builder with its free hosting, and found the whole practice a real pain. For me, at least, it seems like their “content blocks” are totally counter-intuitive. And then they said I couldn’t really host my WordPress blog with the site I was trying to build with website builder…And that I would need to switch to a separate hosting plan for that. Not the end of the world, but certainly not as easy as they make it seem to be for getting your site up and running.